Go crazy for the Reds when you turn up to the Suncorp Stadium or to training in this Queensland Reds 2019 Rugby Polo Shirt from Dynasty Sport. This polo features a sleek new design and the latest in fabric technology. 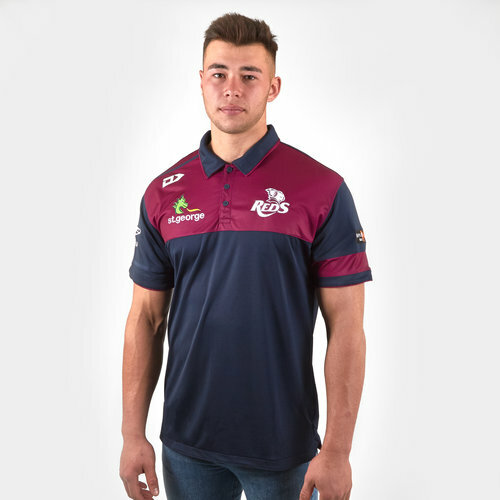 With bonded seams and heat-seal this light-weight garment proudly showcases embroidered St. George and Queensland Reds logos across the chest, and the double-layered fold over collar assists in maintaining shape retention.